Page 45 — Spurred on second thoughts about sending Sami off on the Mermaid, Root needs — a horse? We’ll find out more later, after we find out what Sami’s up to! 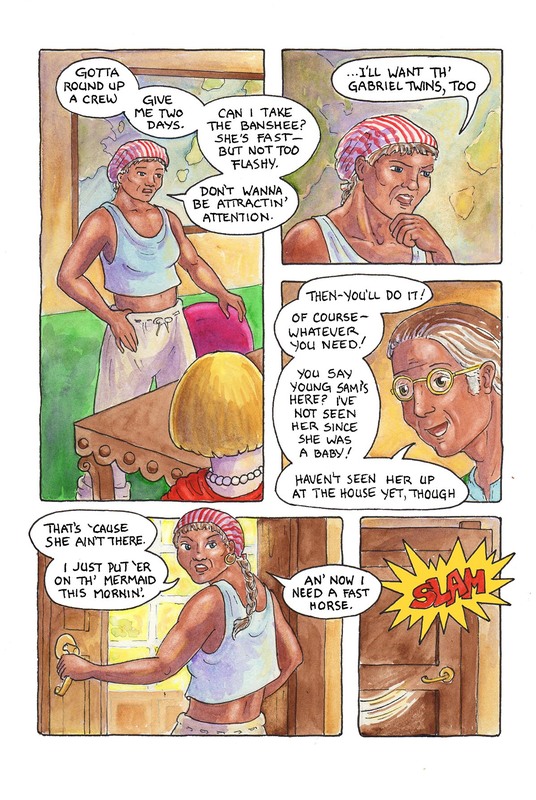 This comic was posted in Mermaid Music and tagged comic, fantasy, graphic novel, mermaid, mermaid comic, mystery, sea comic, watercolour, webcomic.